Every good digital strategy starts with understanding audience of the business. Who are they, what is their age range, where do they live, what interests do they have and how can we connect with them. We take a step by step approach targeting to make sure your current and future customers are mapped out and any solution created is tailor made for them. By mapping how your customers are interacting with your business and online presence, we can identify new opportunities in how to leverage new technologies and processes to improve their UX and increase sales and brand visibility. After working through the customer journey, we look at your business as a whole and its wider industry. What are your current needs and how these will change with new technologies are taken into account. Success needs to be measurable and results driven.  We work with you to develop clear digital goals that are actionable, measurable and provide maximum ROI. In the digital age, B2C companies cannot afford to ignore social media and it’s ability to grow your brands and drive customers. Taking into account your target audience and on what social channel they are active on, we include a social action lists and preliminary content strategy to make sure your business makes social waves and grows it’s social community. With all digital and factors taken into account, your Digital Mission is a clear pathway to digital business success. You will know your digital deficiencies, strengths, how to grow your digital footprint and drive business growth.